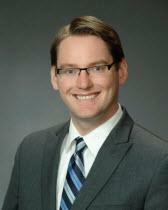 Mr. Garberson joined Low McKinley Baleria & Salenko, LLP, as an associate in 2012 and became a partner in 2017. His practice focuses on medical, hospital, and long-term care liability defense, including related administrative and licensing proceedings. He consults for long-term care facilities on issues including contracts, arbitration, policies and procedures, and risk reduction. In addition, Mr. Garberson provides pro bono arbitration services for attorney-client fee disputes through the Sacramento County Bar Association and serves on the Senior Citizens Advisory Commission for the City of Davis. He also joined the Executive Committee for the Law Practice Management and Technology Section of the State Bar of California in 2017. Mr. Garberson received his J.D. from the King Hall School of Law at the University of California, Davis. During his time at King Hall, Mr. Garberson served as the Publicity Chair for the moot court board and provided instruction and mentoring for students in the appellate advocacy class. He was a semifinalist at the National First Amendment Moot Court Competition hosted by Vanderbilt and the First Amendment Center. Mr. Garberson received his undergraduate degree in Sociology from U.C. Davis. Before joining Low McKinley Baleria & Salenko, LLP in 2012, Mr. Garberson practiced criminal defense with an emphasis on appeals and postconviction relief. That work has served Mr. Garberson well in handling civil appeals with the firm.